Cataracts are a common effect of aging, and the symptoms can get progressively worse over time. There’s good news, though: The Ironwood Eye Care team in Scottsdale, Arizona, can help you deal with cataracts effectively so you can preserve your vision. Use the online scheduler or call the office today to get cataract help. Cataracts are cloudy eye lenses. When your eye lens is cloudy, your retina can't get a clear image, and this translates into blurry vision. Many cataract sufferers develop cataracts in their 40s or 50s, but cataracts usually don't cause vision issues until their 60s. By age 80, over 50% of men and women in the United States have cataracts or have undergone cataract surgery to remove cataracts. Most cataracts are directly related to changes in the eye that come with aging. There are also other possible causes of cataracts, including diseases like diabetes and lifestyle habits like smoking. Steroid use can cause cataracts as well. Although it's quite rare, some babies are born with cataracts (congenital cataracts). Although these are cataract symptoms, they may also indicate other eye issues. If you've got any of these symptoms, see your Ironwood Eye Care optometrist as soon as possible. Do I need cataract removal surgery? Not necessarily. It really depends on how the cataracts are affecting your life. In many cases, a prescription change, no-glare lenses, and using a magnifying glass can improve your vision considerably. However, if your cataracts are advanced and your vision loss reduces your quality of life, cataract removal surgery may be a good option for you. Cataract surgery can greatly improve your vision, but like any surgical procedure, it comes with potential risks and downtime.  Your Ironwood Eye Care optometrist will discuss all of your cataract treatment options with you to help you decide the right path for you. Need to find out whether you’ve got cataracts, and what you can do about them? Book your appointment at Ironwood Eye Care by phone or through the online scheduler now for help. Click here to read more about cataracts!